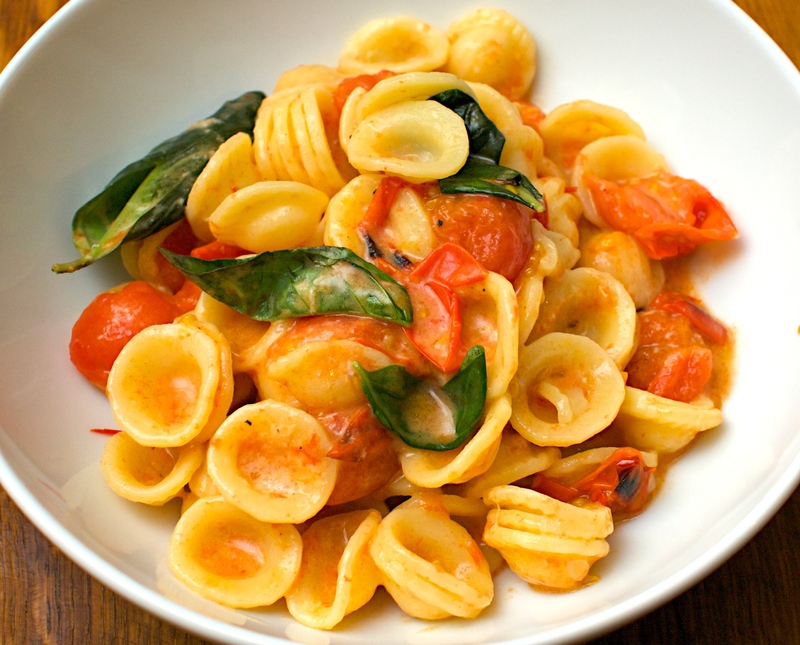 There is huge quantity of cherry tomatoes in this but they break down into a great pasta sauce. You can serve this as a main course for 4 people or a starter for 6-8. It’s really quick and easy to throw together. 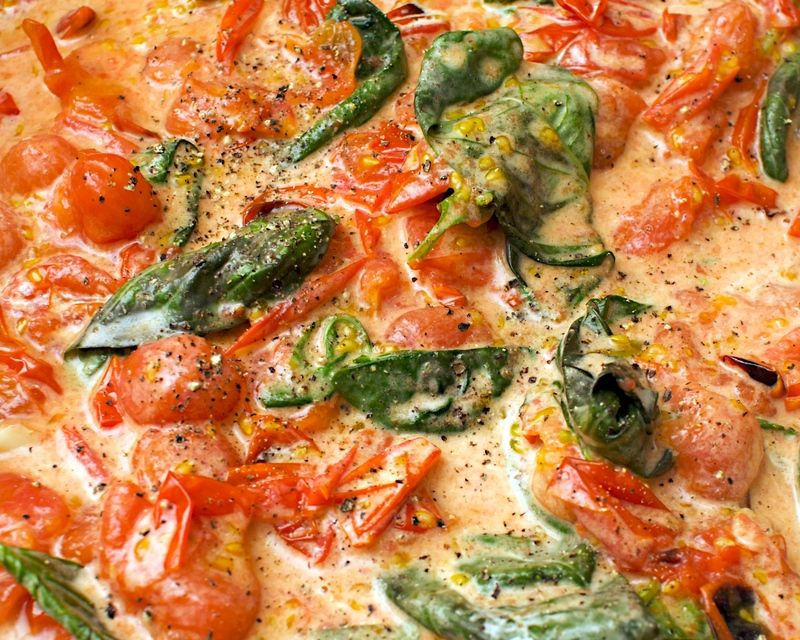 Put the tomatoes in a single layer in a large roasting tray. Scatter the sliced garlic over the tomatoes and drizzle with olive oil. Put the tomatoes under the grill and leave until starting to burst and turning black in places. Meanwhile, cook the pasta according to the packet. Crush the tomatoes with a fork, then stir in the basil leaves. Stir in the cream and a handful of grated Parmesan or pecorino. Season to taste and serve with more cheese for people to add themselves. Drink with: a light Chianti Rufina.